For North Carolina's optometrists, providing quality eye and vision care isn't limited to inside their office walls. They also volunteer their time to provide these services for free to those less fortunate in their local communities. Below is a small sample of the amazing things our eye doctors do throughout North Carolina and in third world countries. Dr. Mark Gifford of Charlotte donates his time to the non-profit he founded called Seeing and Believing. Their goal is to help underprivileged individuals gain access to prescription eyeglasses. Once a month he provides comprehensive eye exams while Seeing and Believing provides the prescription eyeglasses to the patients. Other optometrists that have volunteered their time include Dr. Charles Knudson, Dr. Kimberly Douglas, and Dr. Ryan Corte. 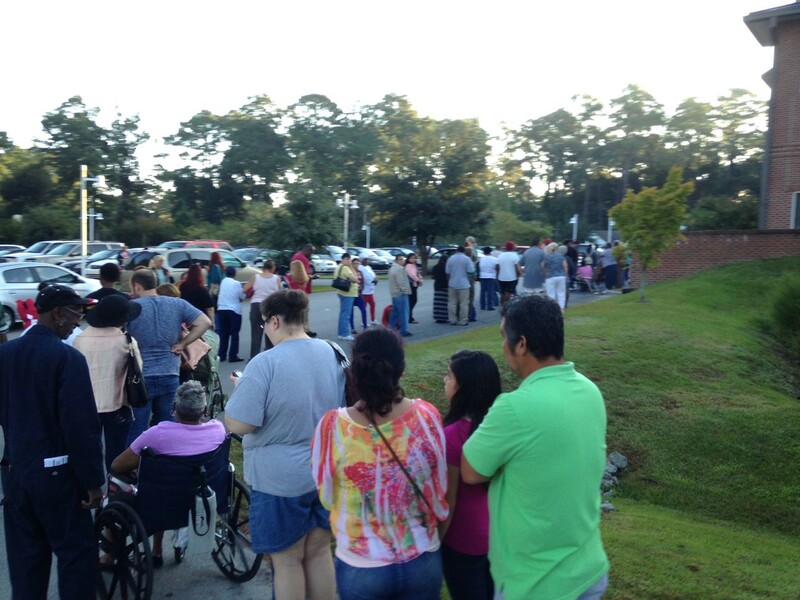 Dr. Richard Hatch of Whitsett volunteers at the Open Door Clinic of Alamance County providing free healthcare services to the indigent and uninsured residents of Alamance County. 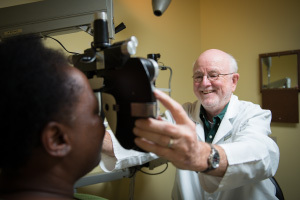 Once a week Dr. Hatch volunteers his time to the eye clinic which offers comprehensive eye exams, glaucoma treatments, retinal neuropathy treatments, and eyeglasses. Dr. Paula Newsome of Charlotte volunteers her time in numerous ways. 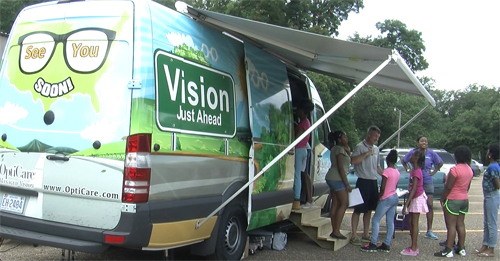 She's served at the OptiCare's mobile vision van, called "SeeMore," at its stop at the North Carolina Urban League's annual Young Professionals Health Fair in Charlotte. The van delivers eye exams to people lacking access and promotes the importance of eye care. 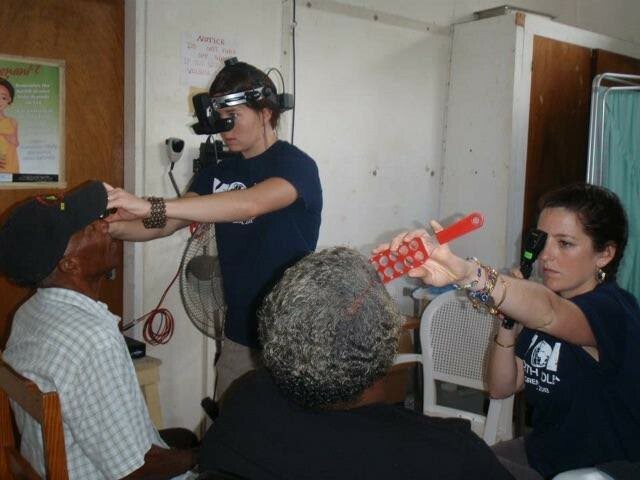 She's also led a five day mission trip to Haiti, performing 1,810 vision screenings and 568 comprehensive eye exams! Dr. Cathy Doty of New Bern leads the Faith in Action Vision Clinic every September. 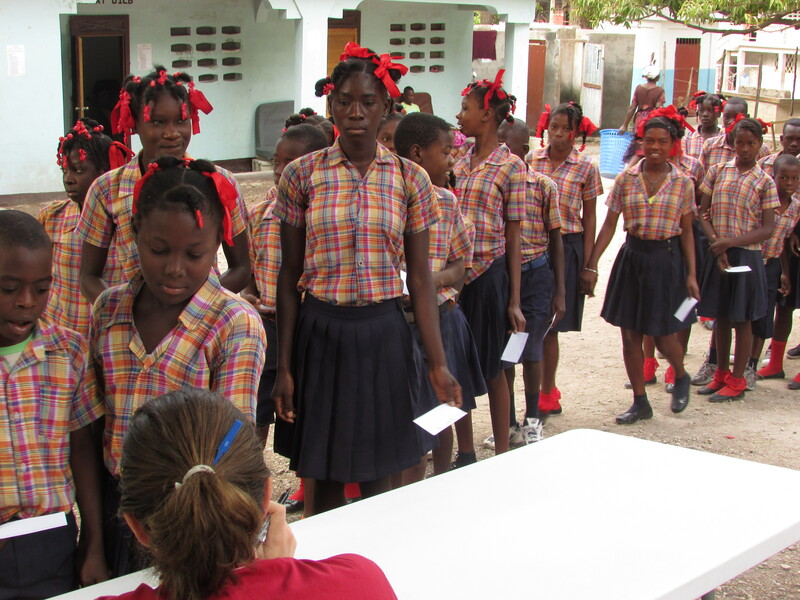 At the last clinic there were 300 eye exams given and 275 pairs of custom glasses prescribed and ordered! Other optometrists that have volunteered are Dr. Shawn Doty, Dr. Kim Oncavage, Dr. John Desmone, Dr. Robin McKeel, Dr. Dennis Michels, Dr. Thomas McIntosh, Dr. Angela MacDonald, and Dr. Michael Baughan. 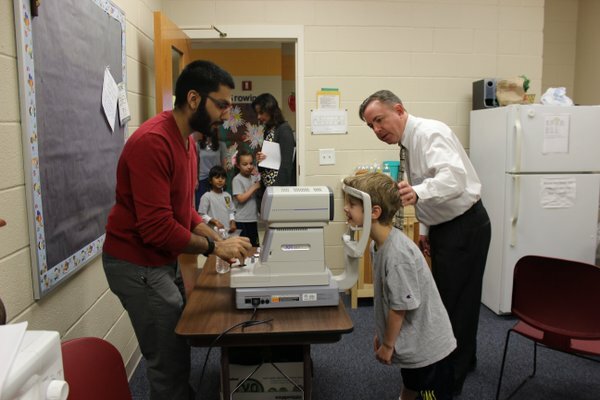 Dr. David Holler of Apex does an annual vision screening for students at St. Michael's School in Cary. This past year he screened close to 120 students! Dr. Sarit Catchatoorian of Charlotte has made numerous trips abroad to provide international eye care for those in need with the Lions in Sight organization. He has been to Panama, Peru, Ghana, Haiti, and Mexico! He also volunteers with his local Lions Club to provide free exams. Dr. Jill Scullion of Wilmington formed VOSH NC in 2010, a non-profit humanitarian organization that provides eye exams, glasses, and medications to impoverished areas across the world. VOSH NC is the North Carolina chapter of VOSH International. 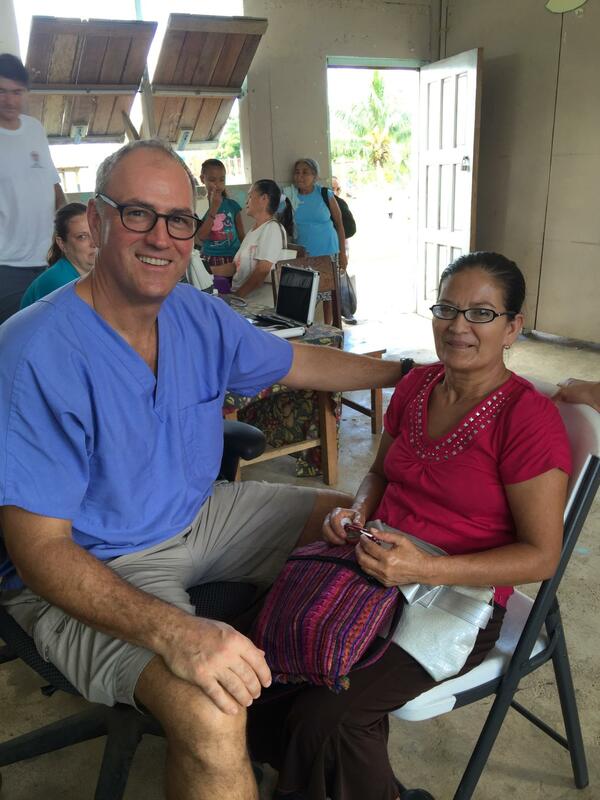 Dr. Scullion has led trips to Belize, El Salvador, Grenada, Haiti, and Trinidad. 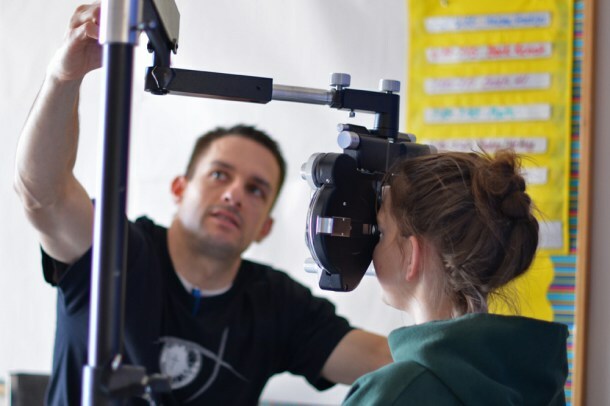 Other North Carolina optometrists that have gone on these missions include Dr. Heather Day, Dr. Lori Farabaugh, Dr. Christina Smith, Dr. Gail Kelley, Dr. Michael Baughan, Dr. Ed Weaver, Dr. Peggy Wike, and Dr. Ed Paul. 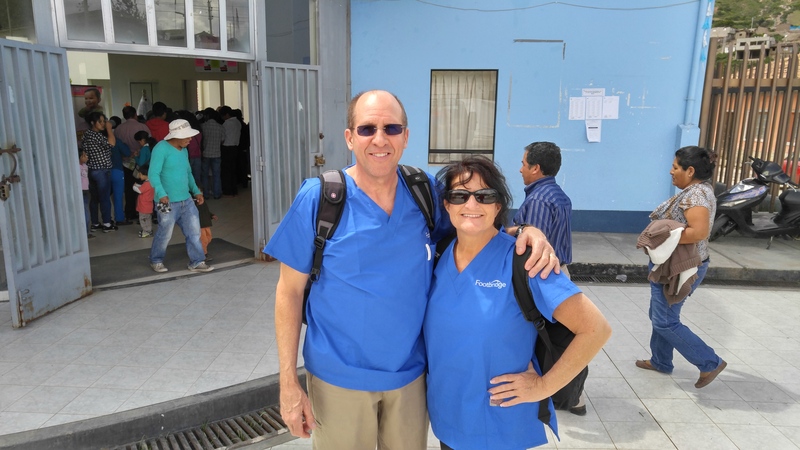 Dr. James Moore and Dr. Sandra Schrader-Moore of Lexington have gone to Peru on a mission trip where they provided eye care and eyewear to over 300 people in the remote village of Curahuasi. 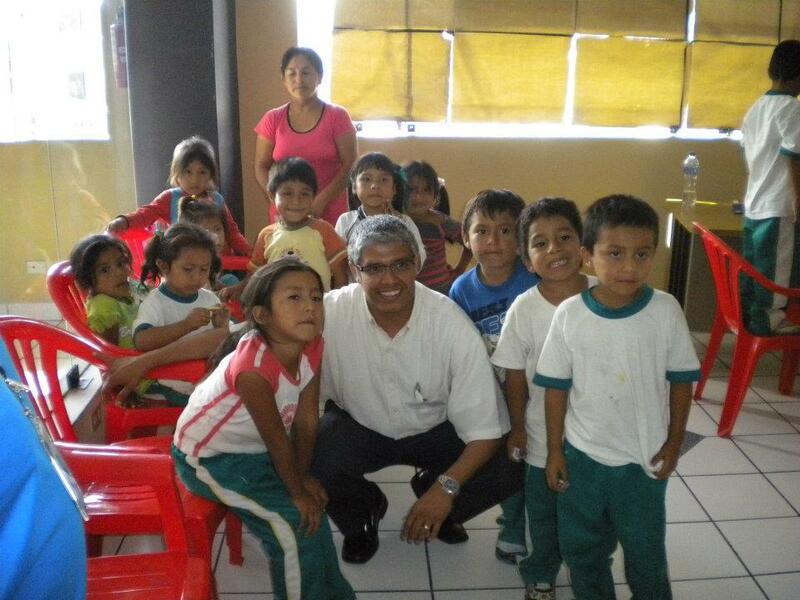 Dr. Brad Hearn of Huntersville goes on mission trips to Belize four times a year! 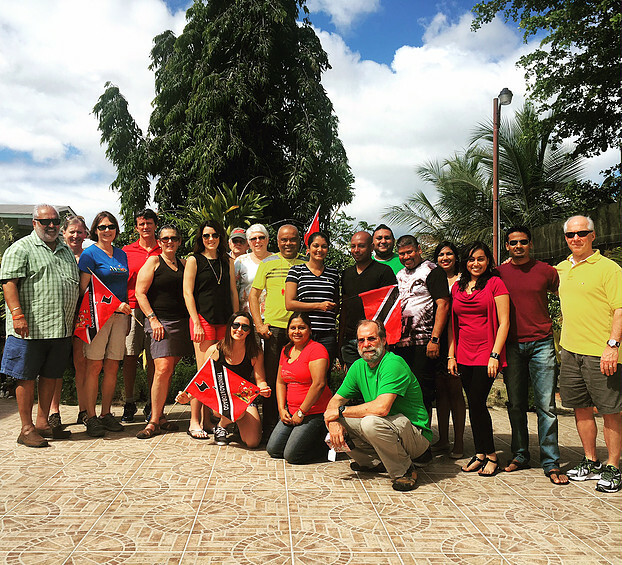 As the only optometrist traveling with a group of medical professionals, Dr. Hearn provides eye care to 200-400 patients each trip.